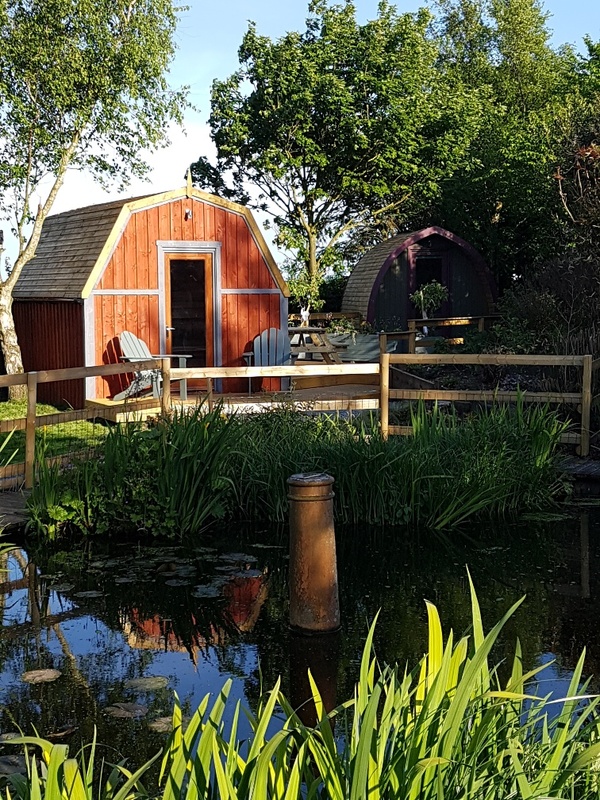 Seaways have 4 luxury glamping pods and a small campsite. All set for a relaxing break in the heart of the Yorkshire Wolds. 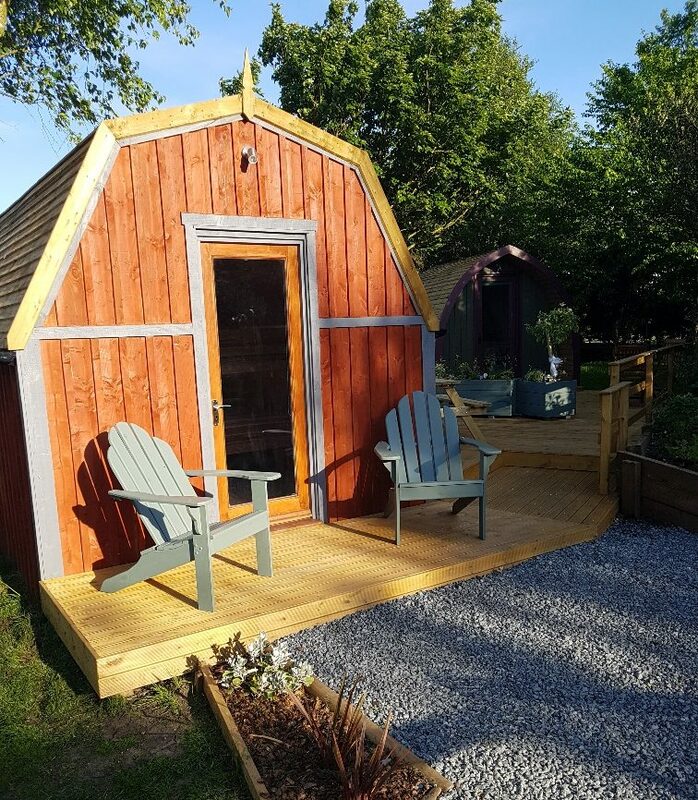 This Glamping pod is hand made and designed for 2 visitors. It contains a double bed, Underfloor and wall insulation and electric heating. This Glamping pod is handmade based on an American Dutch Barn. 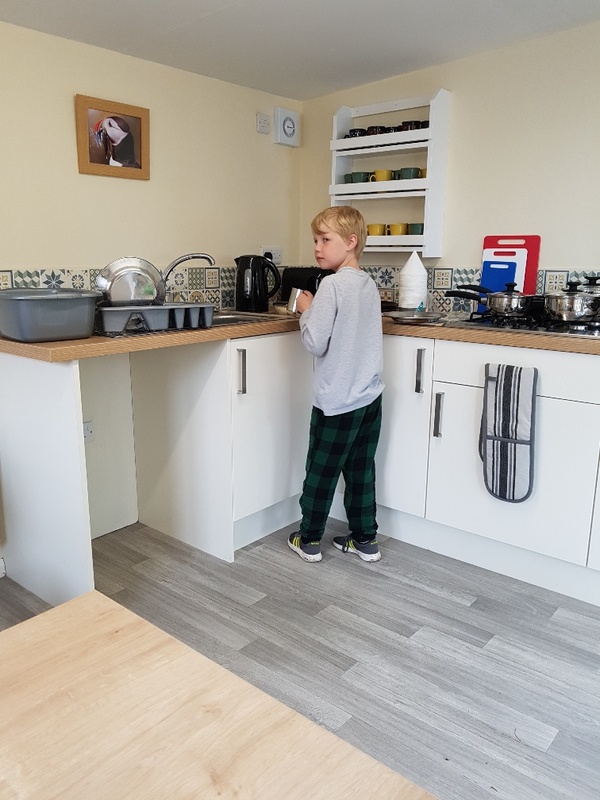 It can take up to 4 visitors with a double bed and full sized bunk beds, underfloor and wall insulation and electric heating. There is a personal decking area outside the pod. 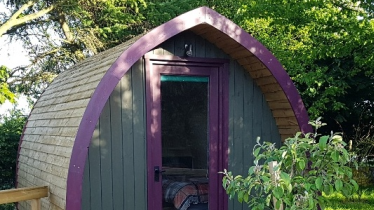 This En-Suite Glamping pod is like a small cottage. It has a bedroom, bathroom, kitchen, carpets and gas central heating. It can take up to 3 visitors with a double bed and pull out single bed. There is a personal decking area outside the pod. 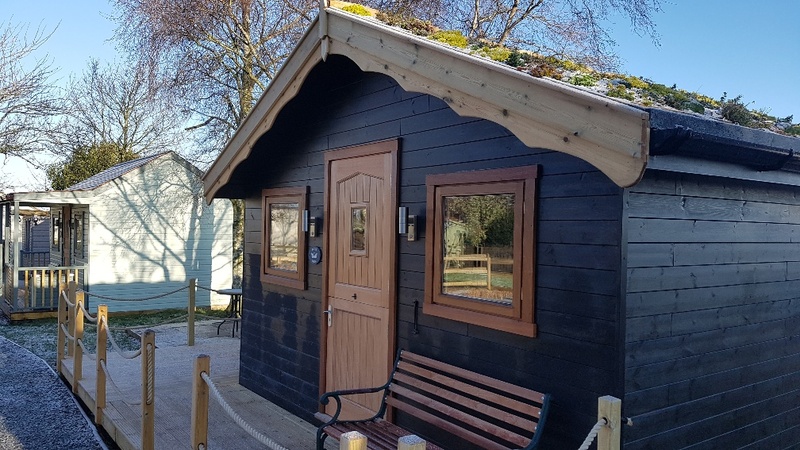 This En-Suite Glamping pod is like a small cottage. It has a bedroom, bathroom, kitchen, carpets and gas central heating. It can take up to 2 adults and a child with a double bed an overhead single bed. There is a personal decking area outside the pod. 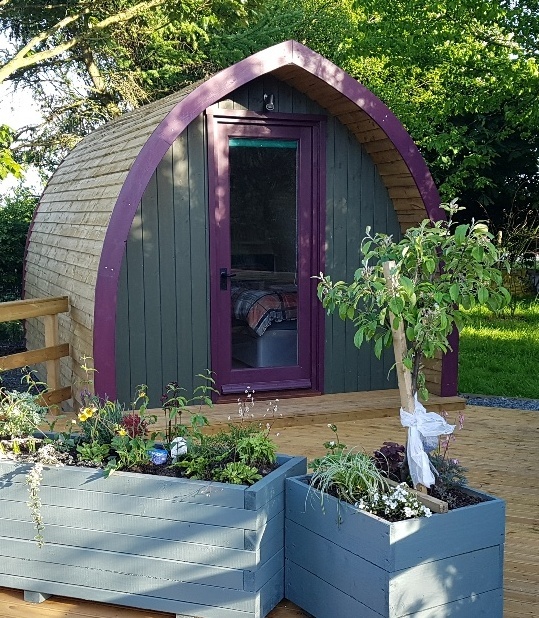 This Glamping pod is hand made and designed for 2 visitors. It is beautifully finished throughout with every detail thought about. It has east facing, double glazed window with views over the Wolds to the east coast, with a double glazed front door. The pod is fully carpeted throughout. It contains a double bed. For a full service stay, bedding and towels can be provided. The pod has double sockets including USB charging ports for your gadgets. Underfloor and wall insulation will keep your stay warm and comfortable especially when combined with the electric heating. There is a personal decking area outside the pod which is great for alfresco meals and BBQs (BBQ can be hired from us). Babies are welcome and free to stay, a travel cot can be provided free of charge. Dogs are welcome (max. 2) and are charged at £5 per night. The spacious bathroom has been fitted to the highest standards and is shared with the few other visitors on the site. You have access to a well equipped kitchen. The on site café can provide tempting meals, treats and drinks throughout the day. This Glamping pod is handmade based on an American Dutch Barn. It can take up to 4 visitors with a double bed and full sized bunk beds. It is beautifully finished throughout with every detail thought about. It has east facing, double glazed, window with views over the Wolds to the east coast, with a double glazed front door. The pod is fully carpeted throughout. For a full service stay bedding and towels can be provided. The pod has double sockets including USB charging ports for your gadgets. Underfloor and wall insulation will keep your stay warm and comfortable especially when combined with the electric heating. There is a personal decking area outside the pod which is great for alfresco meals and BBQs (BBQ can be hired from us). Babies are welcome and free to stay, a travel cot can be provided free of charge. Dogs are welcome (max. 2) and are charged at £5 per night. 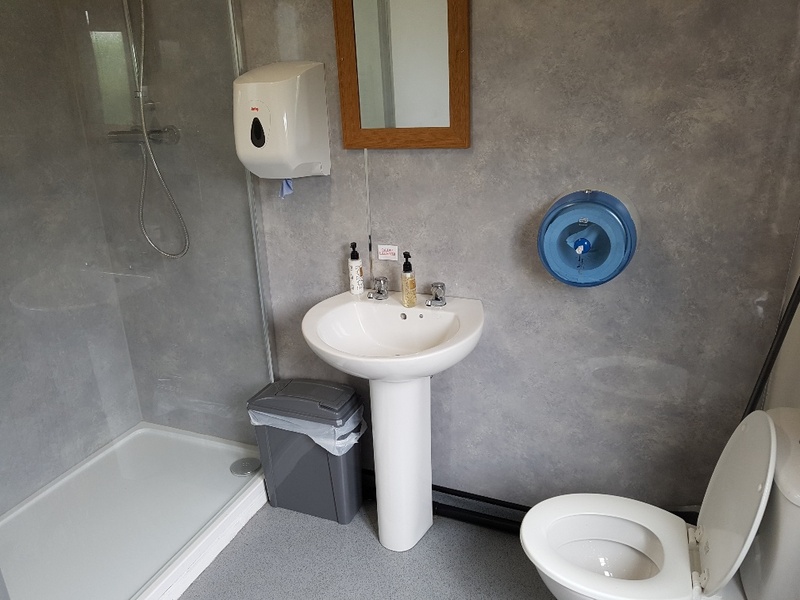 The spacious bathroom has been fitted to the highest standards and is shared with the few other visitors on the site. You have access to a well equipped kitchen. The on site café can provide tempting meals, treats and drinks throughout the day. 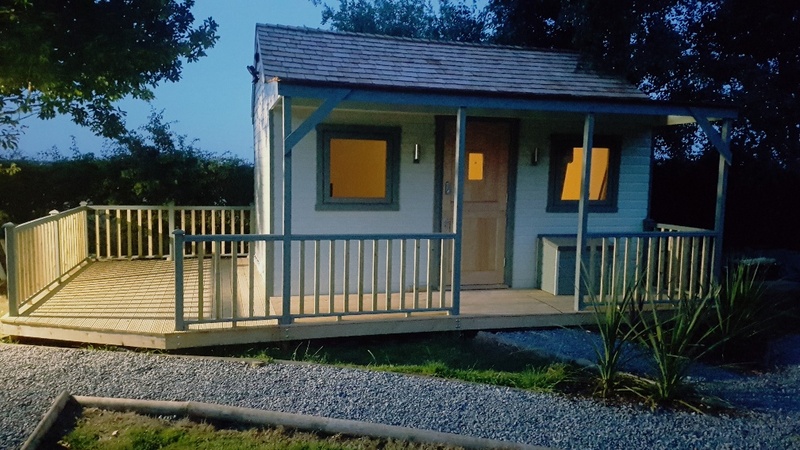 This En-Suite Glamping pod is like a small cottage. It has a bedroom, bathroom, kitchen, carpets and gas central heating to make for a comfortable and cozy stay. It can take up to 3 visitors with a double bed and pull out single bed. 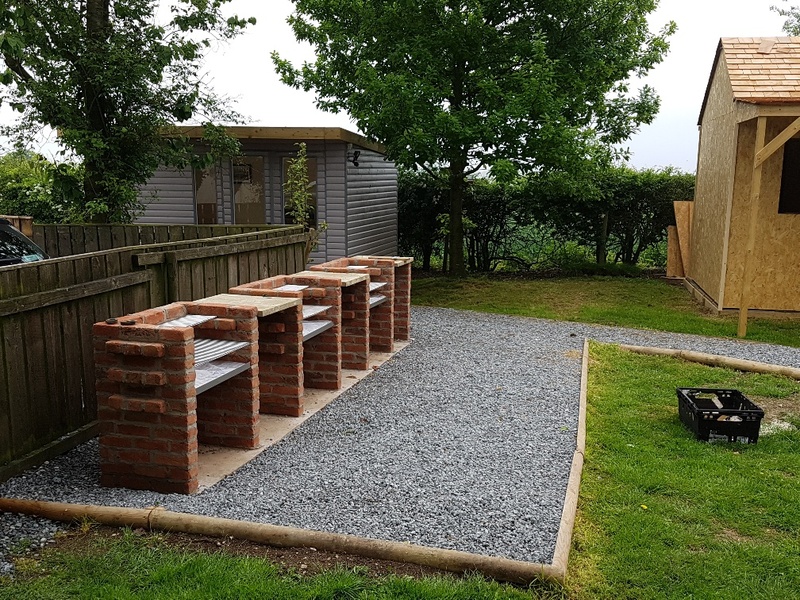 There is a personal decking area outside the pod which is great for alfresco meals and BBQs (BBQ can be hired from us). It is beautifully finished throughout with every detail thought about. It has east facing, double glazed, windows with views over the Wolds to the east coast. Bedding is included and for a full-service stay, towels can also be provided. The pod has double sockets including USB charging ports for your gadgets. Babies are welcome and free to stay, a travel cot can be provided free of charge. Dogs are welcome (max. 2) and are charged at £5 per night. The on-site café can provide tempting meals, treats and drinks throughout the day. 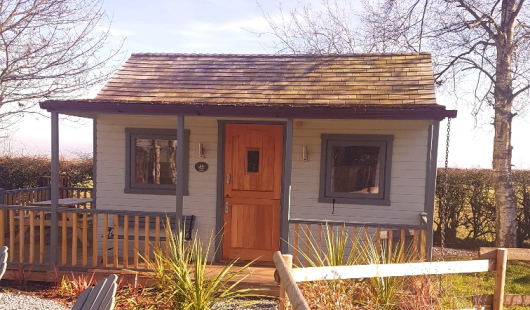 This En-Suite unique stunning Glamping Hut is like a small cottage with a living, wildflower, roof. It has a bedroom, bathroom, kitchen, carpets and gas central heating to make for a comfortable and cosy stay. It has a breakfast bar overlooking the pond. It can take up to 2 adults and a child with a double bed and an overhead single bed. There is a personal decking area outside the pod which is great for alfresco meals and BBQs (BBQ can be hired from us). It is beautifully finished throughout with every detail thought about. It has east facing, double glazed, windows with views over the Wolds to the east coast. Bedding is included and for a full-service stay, towels can also be provided. The pod has double sockets including USB charging ports for your gadgets. Babies are welcome and free to stay, a travel cot can be provided free of charge. Dogs are welcome (max. 2) and are charged at £5 per night. The on-site café can provide tempting meals, treats and drinks throughout the day. Our intimate camping site takes three tents. Each has plenty of room with a 4m x 3m pitch. 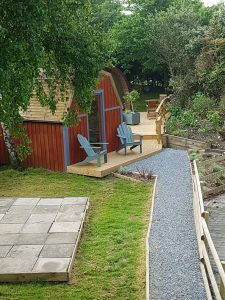 It is set in a well laid out site with the glamping pods. Any size or type of tent is welcome that can fit on the pitch. Babies are welcome and free to stay. Dogs are welcome (max. 2) and are charged at £5 per night. 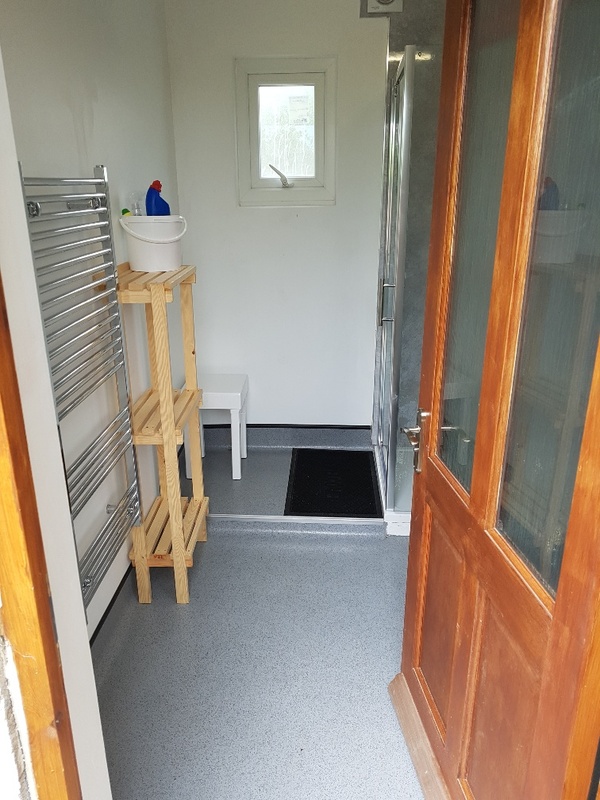 The spacious bathroom has been fitted to the highest standards and is shared with the few other visitors on the site. You have access to a well equipped kitchen. The on site café can provide tempting meals, treats and drinks throughout the day. 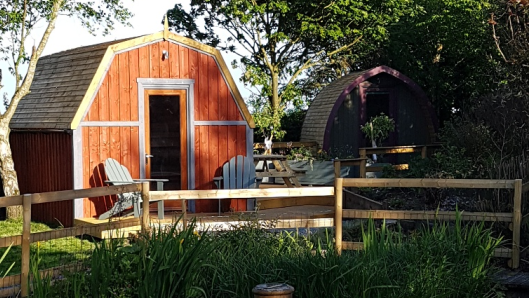 Seaways glamping site is situated in the village of Fridaythorpe in the heart of the Yorkshire Wolds. 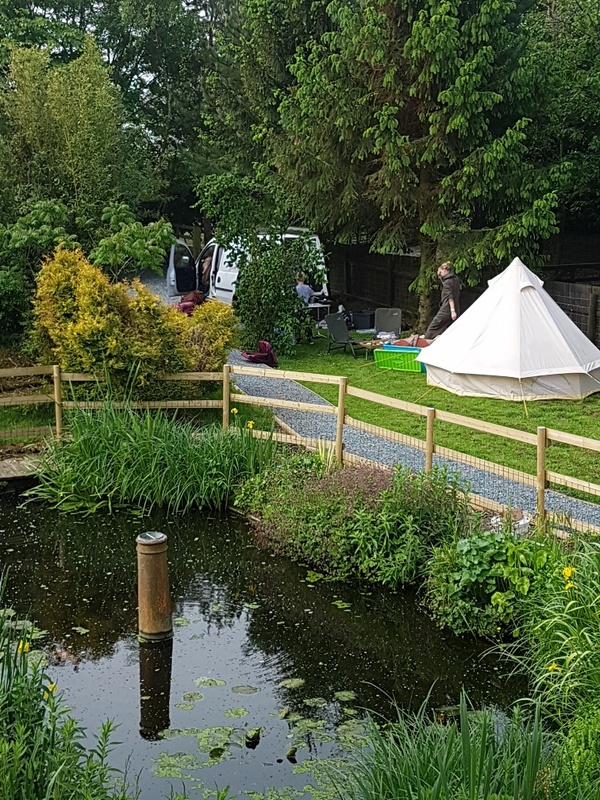 The site is set in a quarter of an acre of land consisting of pathed walkways, glamping car park, trees and an ornamental pond. 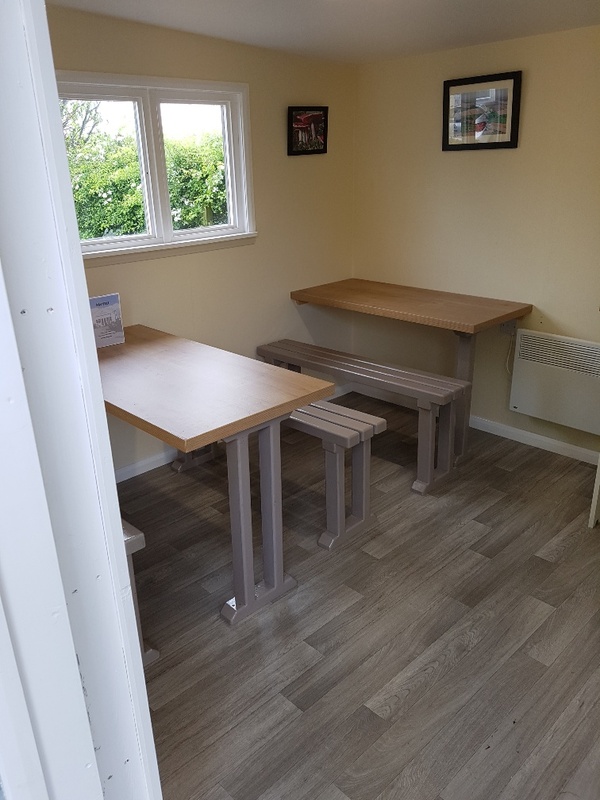 The site also has a popular café, this is used by a range of customers from, motorcyclists, cyclists, locals and day trippers. This can also be used by anyone who is staying in the pods. 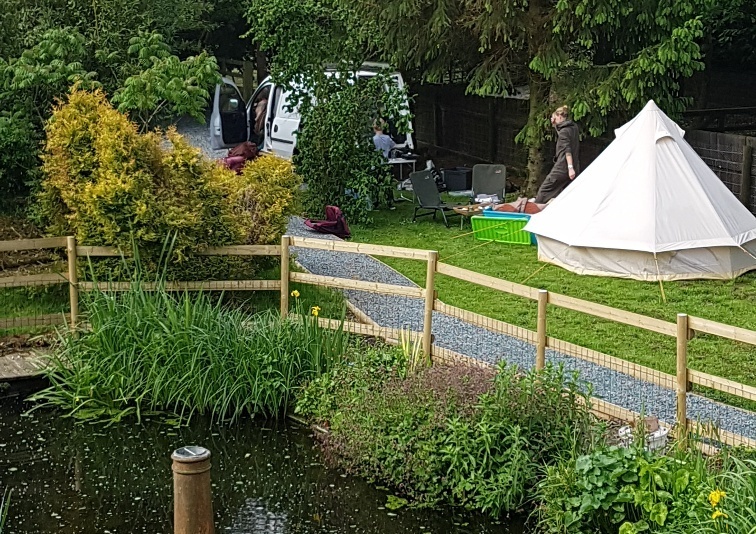 Access to the glamping and camping car park can be found near the A166 entrance to the south of the premises. There are three barbeques available for use. Charcoal, lighters and utensils are included in the price of the hire and can be purchased from the café. At a cost of £10. The site is in the wonderful village of Fridaythorpe. The village has a well stocked village shop and off licence just a short walk away from our glamping site. The views into the surrounding Wold's are amazing and are appreciated even more if you head off on one of the many local walks. 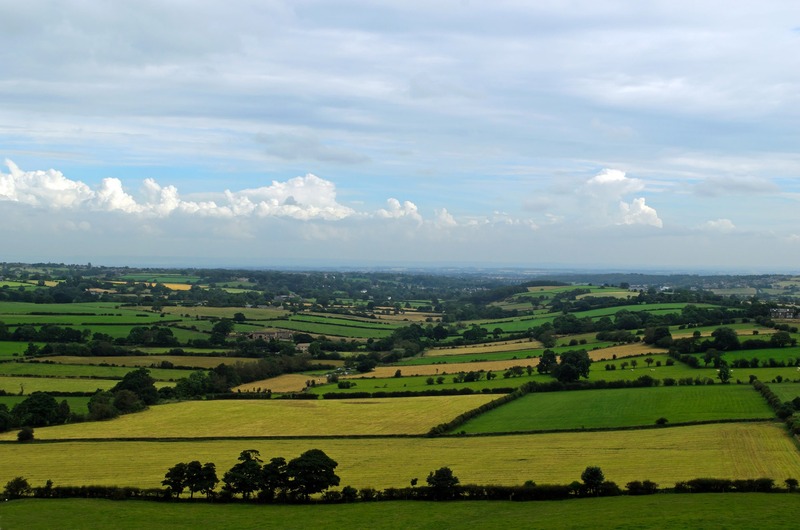 The Robert Fuller Art Gallery is only three miles away in nearby Thixendale. It's not far from the site too many attractions and towns.